Need a heaping help of stability, determination, and sheer epic strength? Want the energy of patience to work on your spirit at this time? Bull (or Ox) as a Spirit, Totem, and Power Animal can help! Bull or Ox teaches you how to bear hard burdens all with grace and poise. Delve deeply in Bull and Ox symbolism and meaning to find out how this animal spirit guide can support, assist, and inspire you. Throughout the world of symbolism, mythology and folklore the meaning of the Ox is tied to that of the Bull – both representing the Male aspect, fecundity, leadership roles at home or in public, renewal and power. Ox were some of the first creatures humankind domesticated to help with agrarian chores. Beyond having a strong back, Ox could be a food source giving it the additional symbolism as a provider. The Ox has a fiery disposition, which makes the Ox a strong role model, but sometimes a little too bull-headed – literally. Some cultures, however, tie the Bull to moon worship because of this spirit animal guide’s crescent-shaped horns. This gives Ox the ability to bridge between two worlds – that of sun and moon, and that of intuition and reason. Nonetheless, the Ox has a very stubborn, fierce side that requires taming and guidance. Unfortunately, Ox offerings were not uncommon in the ancient world. People (including the Druids) believed that this creature’s vital essence gave fertility to the earth. Sadly, Oxen were also sacrificed to the ocean gods like Poseidon and Thor. Among the most noted of Greek stories is that of the Ox and Mino. Minos prayed for an Ox that he could offer to Poseidon. His prayer was answered by a glorious white creature that came from the sea. Minos greedily wanted to keep this rare animal so he gave Poseidon a plain Ox, which did not bode well. Soon thereafter Poseidon punished Crete for Minos’ selfishness. In this respect, the Ox warns us against bragging and making false promises. When Ox or Bull comes to you as a Spirit Animal you’ll receive the lessons of the value of a steady dependable work ethic. Ox spirit is patient but also tenacious. It will not give up until you learn what you most need be it modesty, persistence or defending your territory when threatened by undesired energies. Ox as a Spirit Animal puts you on firm footing. When you find yourself struggling with authority and taking directions, Ox shows you how to accept that yoke and continue until that job is completed. In working with Ox energies you may find yourself drawn to volunteer work, and it’s a great way to change attitudes. In charitable work you see that the grass is not always greener. You’ll also receive that appreciation you crave. Sometimes, when a spirit feels weak – like maybe their own internal battery isn’t strong enough to withstand this world – Ox shows up to tell them that they are made of tougher stuff than they currently believe. If in your Spirit Animal meditation Bull’s big eyes stare into your own, don’t be afraid. Take a close look. See beyond the massive frame and giant horns. Look at the gentleness behind the obvious physical powerhouse. This is a great lesson. You can remain kind and walk this earth in gentleness. But when you need him, Ox will be there to help you move mountains. Finally, the Ox or Bull Spirit Animal teaches teamwork. You need not walk your Path alone. Find some help and delegate. Ox or Bull as a Totem Animal is a rugged symbol of strength and sacrifice. When faced with hard tasks, Ox provides endurance (remember the story of Paul Bunyan and the Blue Ox?). Bear in mind, however, that Ox energy will not allow procrastination. Do not call on this creature then make him wait. Often times our Totem Animal is already assigned to us at birth, as in the case of Zodiac Signs. Bull and Ox appears in several different Zodiac Systems. You can learn all about Bull in each system by reading “What Is My Spirit Animal by Birthday”. Ox or Bull is an excellent Power Animal for men or anyone wishing to better understand Yang energies. As the leader of the pack Ox lets no harm come to his herd, particularly the children. Men experiencing virility issues may find Ox energy and symbolic medicine gives a potency boost. Additionally, Ox or Bull as a Power Animal facilitates strong survival instincts. A special caution before invoking Bull or Ox as your Power Animal. The amount of humans who have actually stood in the presence of a full grown Ox or Bull is fairly limited. When you call on Bull to be by your side, to support your Spirit, he obliges. But this means Bull shows up in all his power and glory – he will not hold back. Be certain you are ready to step into and join this kind of power. 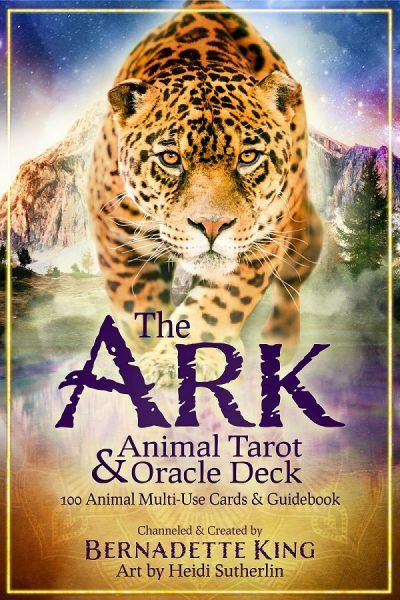 It is no joke and can be scary if you aren’t up to the raw powerhouse of an animal spirit guide that is Bull. Ox and bull represented wealth, potency, bravery and overall power among Native Americans particularly on the Earth plane. Ox medicine focuses on personal power and the ability to muster strength be it to finish a task or stand on your convictions. When an ox doesn’t want to move – they simply cannot be moved. The Ox and Bull spirits tie closely to Earth energy. It also represents physical fertility. When couples wish to conceive they can call on Ox for potential assistance. Bear in mind, however, that the Ox spirit is very pragmatic. It insists you look at what you have and make lemonade out of the lemons you have before buying more. The Celts valued Oxen for their virility and enduring physical productivity. When the clan was in trouble, the Ox and Bull became symbolic protectors that could improve group wealth and lands. Throughout the Celtic region the bull equated Sun energy. Druids used white Oxen as part of the ritual gathering of sacred mistletoe growing in oak groves. Besides being a magick herb, mistletoe was thought a potent cure for barrenness. The white Oxen were the sacrificial element in the ritual, offered to God with the request for blessings on the mistletoe. 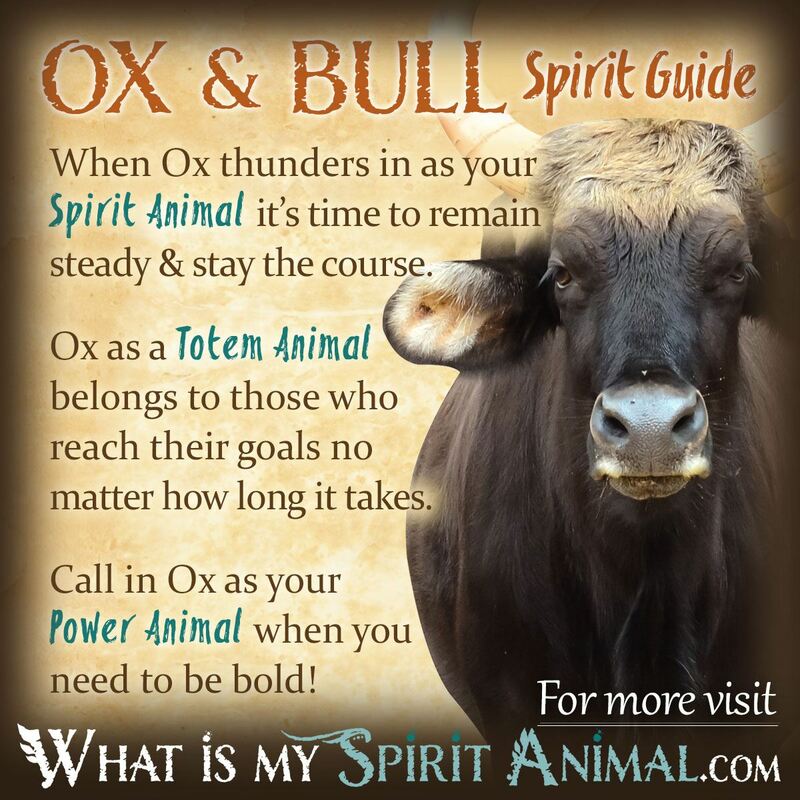 Learn more about Ox Spirit by reading What Dreaming of Ox Means on WhatIsMySpiritAnimal.com! Ox or Bull appears in the Native American Zodiac, Chinese Zodiac, and Celtic Zodiac systems. You can learn all about each interpretation by reading “What Is My Spirit Animal by Birthday”. The Year of the Ox is an excellent year for moving ahead with BIG dreams and plans. Steady movement will get you where you want to be. The Year of the Ox supports the energies and stamina and being ‘bull-headed’ but in a positive and productive manner.